At the early stage of a startup, we often see small businesses deprioritizing marketing due to shortage of budgets. While budget limitations can be a challenge, it would be unwise to ignore the benefits that social media can reap for businesses. After all, there are over 288 million monthly active users globally on Twitter, over 300 million users on Instagram and more than 426 million active Facebook users in Asia alone. With the massive number of users on social media, it is clear to see that the medium is a great way for startup companies to get their brand name out into the market in a cost-efficient manner. But with the wide variety of platforms, trends and strategies to approach social media, one might wonder how to get started on the right foot. Even before you dive into choosing the right social media platforms, think about what your business goals and objectives are, and how social media can help achieve them. There is so much more to it than merely creating a Facebook page and sharing the occasional content with your consumers. To put it simply, every action you take on social media should be a part of a larger social media strategy. In order for your business to see return on its social media efforts, it is crucial that you build a strategy that ties back to your overall business goals before the tactics come into play. The social media landscape is expanding aggressively. While Facebook and Twitter remain the top favourites for most businesses, we see a lot of brands in a fluster to get on to other upcoming platforms such as mobile messaging apps like LINE and SnapChat. No wonder, as research from Google reveals that Asia is a ‘mobile-first’ region, showing that Singapore and South Korea are among the countries that have the highest smartphone penetration in the world. Our advice though? Do not be in a hurry to get on every single social platform. While not every industry has a clear preference for social media channels, there are important determinants that can help you find the right social network for you: the target age group of your audience, the location of your business, and the nature of your services. For example, Luxola, an e-commerce beauty store, chooses YouTube as the best platform to engage customers with authentic fashion content; while Rakuten Singapore prefers the mobile trend and engages with their customers on LINE. It is all about what works best for you. 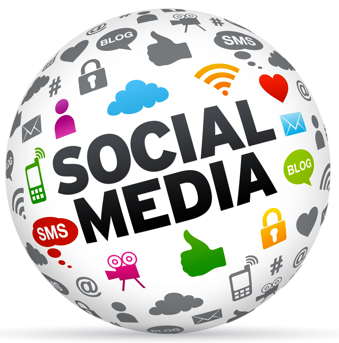 Social media can be a great customer service channel and enables you to interact with your customers. For instance, your customer support representative on social media can also double as a social media manager when he engages in social listening to gain valuable insights into your consumers, competitors, and industry influencers; which can inspire topics for your brand’s content strategy. Such customer service channels do not cost a dime to set up, and the best part of it? It allows your brand to receive more love. Brand ambassadors are important in growing your business. A good way to start would be to introduce the team behind the products and services you offer. Establish a genuine connection and take this opportunity to engage with social media influencers, whom you can potentially turn into brand ambassadors to help carry your brand forward. Companies like Xiaomi do this well, listening and giving human responses, which in turn help make their customers become fans of the brand. In addition, hashtags also are an effective way to consolidate conversations of your brand and help you identify your brand advocates. At Hootsuite, all our employees are brand advocates promoting Hootsuite and the company’s culture. The hashtag (#hootsuitelife) serves us really well as an organization for employer branding. Social media is all about engagement and interaction. It is always good to make your target audience feel valued. If possible, engage with your customers on a regular basis and offer them a chance to join in the conversation with your brand frequently, so that your customers will keep coming back for more. You will be able to build strong brand loyalty and help move your startup business out of ‘stealth mode’ in no time. As your business begins to grow, there will be a need to tweak your social media strategy accordingly to meet your new business goals. A group of 500 fans behaves differently from a community of 5,000 fans, therefore you would need to develop a social media management routine to ensure all your channels maintain a steady presence. The essence of a startup spirit is to go ahead and experiment with what works best for your business. While the tried-and-tested approach can help propel startups in the right direction, exploring the uncharted waters may lead to a positive outcome.